Adaptive re-use of an existing mid-rise, 45,000 s.f. 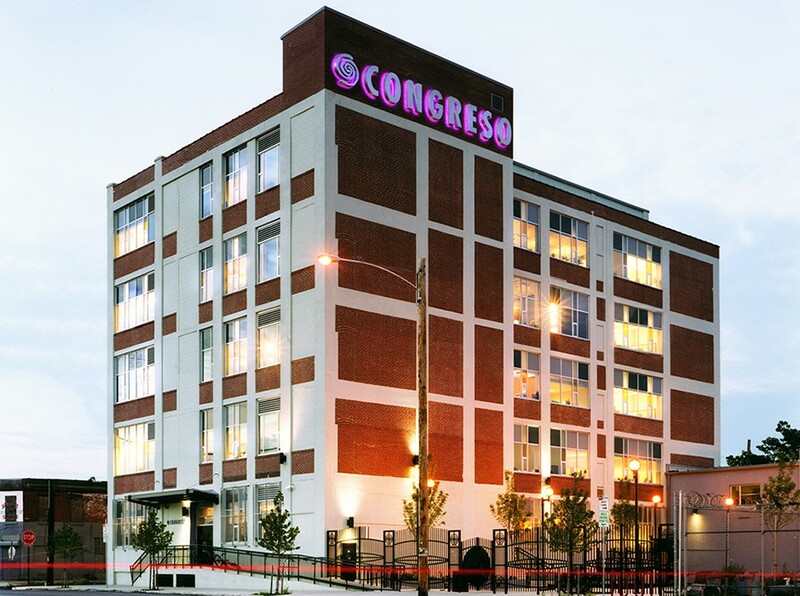 industrial building for Congreso’s headquarters. 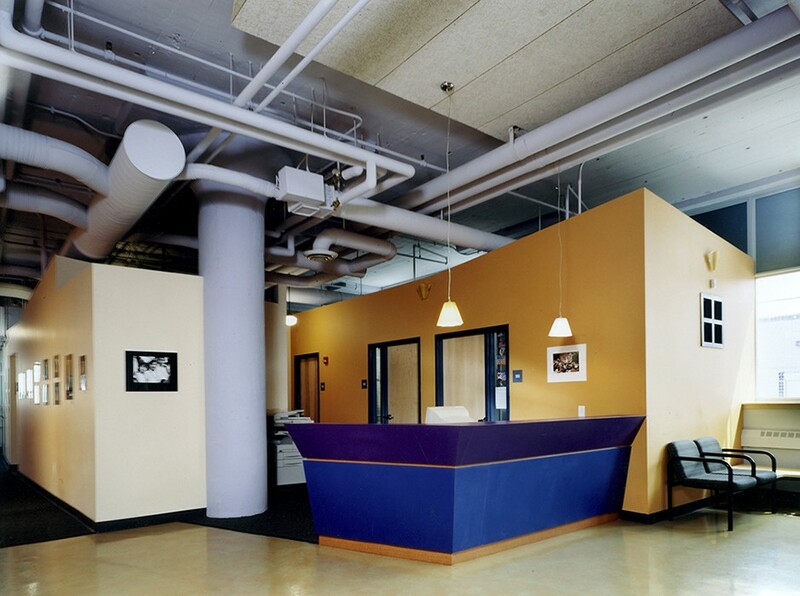 This facility includes lobby/exhibit area, classrooms, conference rooms, computer lab, offices, counseling rooms, executive offices, and board room. Site development includes a garden with a children’s play yard. It is my pleasure to recommend the design services of Studio Agoos Lovera. They are an exceptional design firm who also provided very effective advocacy during the construction phase of our new headquarters for Congreso de Latinos Unidos, Inc. 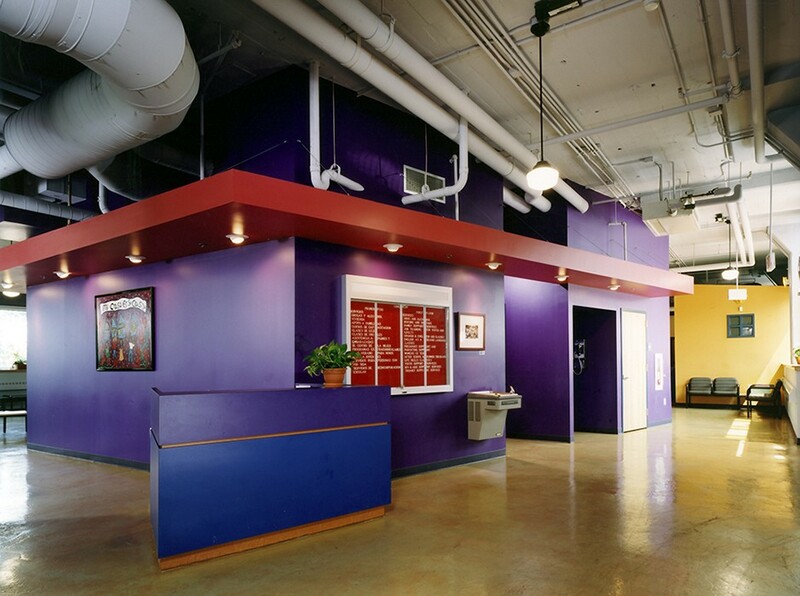 They skillfully guided us across the complex renovation of an existing industrial 45,000 square feet, 5-story structure and through their innovative design approach have expressed in their architecture the nature, spirit and energy of our social services organization. 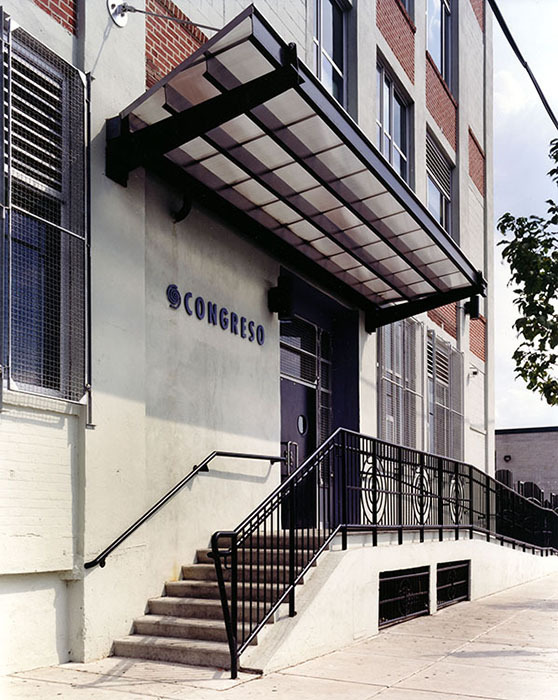 Furthermore, their design established Congreso’s building as not only a welcoming center, but a beacon of hope to the community it serves. Alba E. Martinez Congreso de Latinos Unidos.